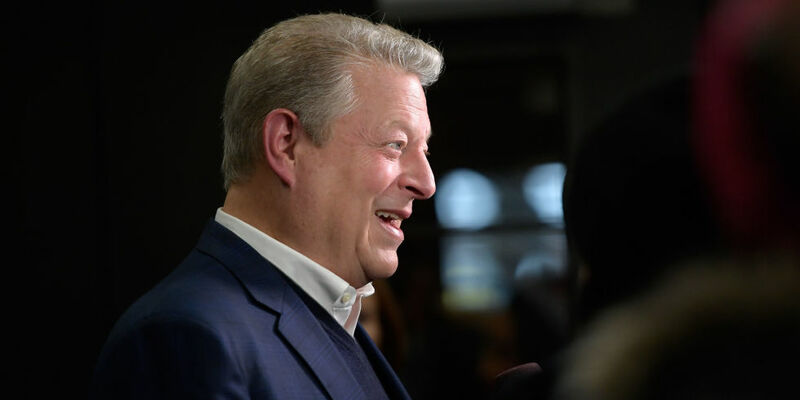 A decade after Al Gore’s empowering and eye-opening film and book, An Inconvenient Truth, Former Vice President Gore has brought a new inspiring movie that reminds us of our responsibility to the climate movement. The sequel reviews the changes in both policy and climate, that have shaped the world. The film exposes the rapid changes that are occurring in the Arctic with a spotlight on the glacial melt in Greenland. Footage shows Gore exploring the quickly melting glacial ice and the colossal chunks of glacier crashing into the ocean. He suggests that due to unusually high temperatures in Greenland, the glaciers are responding. Following the drastic chain of effects that follow sea level rise, the film focuses on flooding events that have ruined cities. After giving the viewer a background on the effects of climate change, Gore calls for the response that is essential to stopping this crisis. Highlighting Gore’s Climate Reality Leadership Training, the film calls for more activism and involvement to drive the climate movement. In the Leadership Corps program, Al Gore personally trains the potential leaders to encourage change in local community and to bring the “Truth to Power”. With the program, people can apply to become apart of the Leadership Corps and commit to overcoming the climate crisis. The coined term “Truth to Power” is now a forceful push in action that stands for change and revolution. Gore proves that through defiance, persistence and charged persuasion, the goals needed to make a difference are achievable. Though faced by many challenges, the climate movement has fought against every opposition and stood strong after every downfall. He brings hope and is determined that we can continue to lead our efforts into the future; despite Trump’s radical agenda. Gore connects the Climate Movement to the many influential movements that have shaped our world such as the Civil Rights Movement, Gay Rights Movement, Women’s Suffrage Movement, and Anti-Apartheid Movement. Each of these oppressed movements were confronted by many threats but continued to develop and achieve ambitious progress. After a long and burdensome road to ratifying the Paris Agreement, President Trump announced on June 1, 2017 that the United States would be withdrawing from the Paris Agreement. A huge setback to the goals ratified, the withdrawal would ruin the dynamic formed in the agreement and would override the changes endured in other countries. While addressing this announcement, Gore remains hopeful that the strength of the movement is more powerful than the actions of the President. Closing with the motivating message, “Fight like your world depends on it”, the film leaves viewers with an intense desire to make the changes laid out in the film. Overall the sequel was a perfect combination of recalling the growth of our past while reminding viewers of the obstacles that still lay ahead. The film should be used as proof of the glorious outcomes of unity, determination, and grit. To join the Climate Reality Project proceed to the project website to bring “Truth to Power”. Watch the trailer to this inspiring sequel here.